Ferrovial Airports heads consortium selected to enter into negotiations for the Great Hall terminal project at Denver International Airport. The final terms of the project will be negotiated by the airport and the consortium over the coming months. Ferrovial Agroman will head the construction work that would eventually be included in the concession contract . The Denver International Airport (DEN) has selected the consortium headed by Ferrovial, through its subsidiary Ferrovial Airports, to enter into an exclusive negotiation for the public-private partnership to improve to the Denver International Airport terminal, named the "Great Hall" project. The selection was announced today, by City & County of Denver Dept. of Aviation, which owns the airport. Ferrovial Airports is part of the consortium alongside Ferrovial Agroman the US construction company Saunders and JLC, an investment fund set up by Loop Capital and Magic Johnson Enterprises. Over approximately the next six to eight weeks, Ferrovial will engage in negotiations with the City & County of Denver to define the terms and scope of work for the initial phase of the project, called pre-development phase. Predevelopment includes approximately six months of additional negotiations to further refine the scope, financial terms and schedule for a potential long-term agreement. As part of the predevelopment phase, Ferrovial will negotiate the concession contract to cover the design, construction, finance, operation and maintenance of the project. The “Great Hall Project” includes an extensive upgrade to the main terminal at Denver International Airport which spans over 70,000 square metres of floor space. If successful, Ferrovial Agroman will lead and execute the construction work in cooperation with local partner Saunders. The upgrade work will include: creating new shopping and foodservice areas, relocating and expanding the TSA screening areas, improving building access and passenger flow, developing new check-in areas, and optimising space and efficiency in the terminal. 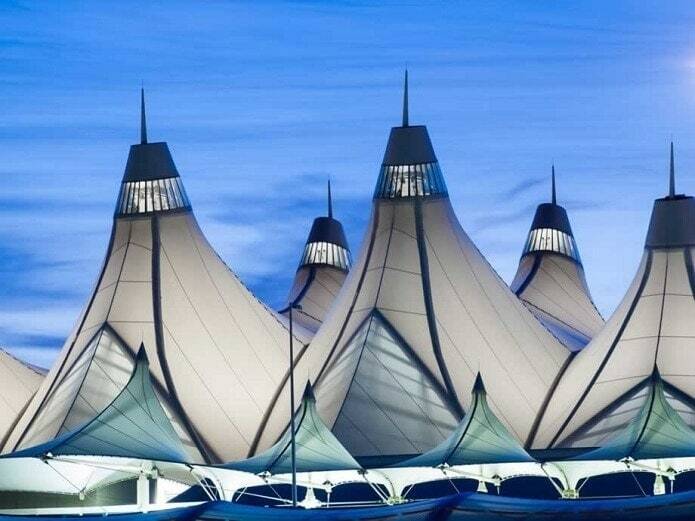 Inaugurated in 1994, Denver International Airport is the fifth-largest hub airport in the US; it handles 54 million passengers every year and is served by 25 airlines, including notably United and Southwest. It offers flights to 187 destinations in the Americas, Asia and Europe and is the largest airport in the US: 140 square kilometres. Ferrovial entered the airport business in 1998. Since then, it has operated 32 airports around the world. Ferrovial Airports is currently the main shareholder and industrial partner of Heathrow and operates Aberdeen, Glasgow and Southampton airports in the UK. In the last year, over 90 million passengers have used these airports, which are served by 150 airlines flying to over 600 destinations. In the first half of 2016, these airports received some of the most important accolades in the industry. Heathrow was named "Best Airport in Western Europe" at the Skytrax World Airports Awards for the second year running, and it received the ACI EUROPE Best Airport Award in the category of airports with over 25 million passengers for the third consecutive year. The Ferrovial app provides instant access to all of the latest at Ferrovial; informative content, job offers and basic information for investors.